HARVEST TIME, HUBO MOMENT: “For achieving the highest levels of artistic excellence and bringing honor to the country”, CEO and Resident Director Will Fredo received an ANI NG DANGAL (Harvest of Honor) award during the National Commission of Culture and the Arts awarding ceremony, Friday, March 8, at the Cultural Center of the Philippines. Our very own Fredo was recognized for his Best Director win for HUBO’s “The Caregiver” at the 2012 International Film Festival Manhattan NYC. Fredo was one of 16 recipients in the field of cinema along with Ms Nora Aunor, Brillante Mendoza, and Auraeus Solito. MANILA, Philippines – The 5th Ani ng Dangal Awards held Friday, March 8, at the Cultural Center of the Philippines was a night of intensely moving art in all its forms. 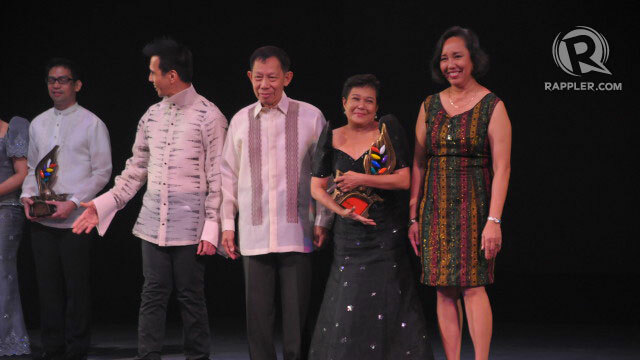 Nothing less can be expected of the awards ceremony, the culminating event of the 2013 Philippine Arts Festival held by the National Commission for Culture and the Arts (NCCA). NCCA Chairman Felipe de Leon Jr led the ceremony to recognize Filipinos who have brought honor to the country by winning in international competitions in their respective fields. Among the winners were actresses Nora Aunor and Shamaine Buencamino, singer Sarah Geronimo, directors Brillante Mendoza (“Thy Womb”), Marty Syjuco (“Give Up Tomorrow”) and Marlon Rivera (“Ang Babae sa Septic Tank”). The Cinema category was blessed with the most number of awardees with a total of 15. CHEMISTRY. 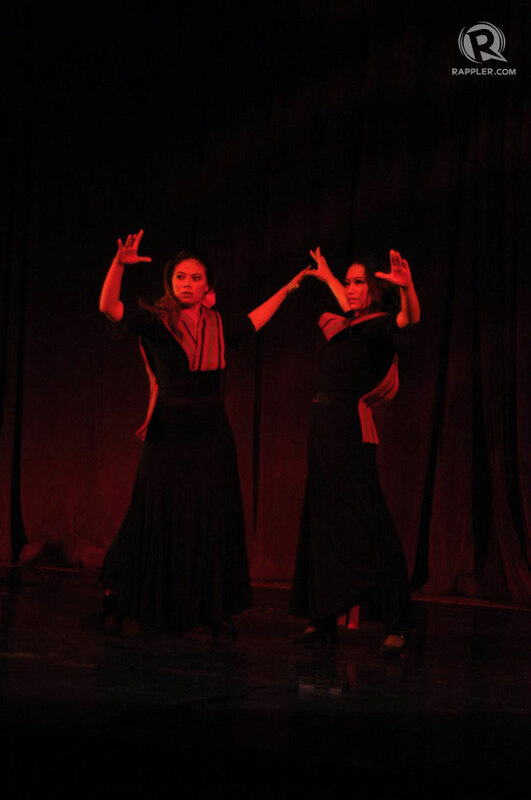 Dancers Maradee de Guzman and Liza Diño captivate audiences with a powerful performance from Will Fredo’s latest movie IN NOMINE MATRIS. The night was peppered with performances by some of the winners themselves. Sarah Geronimo performed the “Ani ng Sining” theme song and was announced as the new NCCA Goodwill Ambassador for Music. Best Dancers at the Cheonan World Dance Competition 2012 Peter Laurent Callangan and Irina Feleo performed their award-winning indigenous dance. The hip hop dance group The Crew regaled audiences with their upbeat, modern choreography. The group won the Gold Medal at the 2012 World Hip Hop Dance Championship held in Las Vegas. 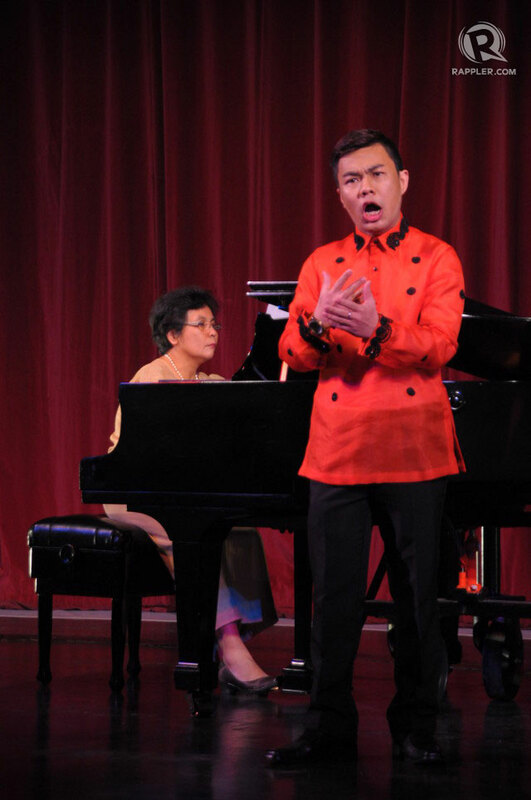 Operatic singer Joseleo Logdat, Grand Prix winner at the 6th Yokohama International Music Competition in Japan moved the audiences as well with two songs.